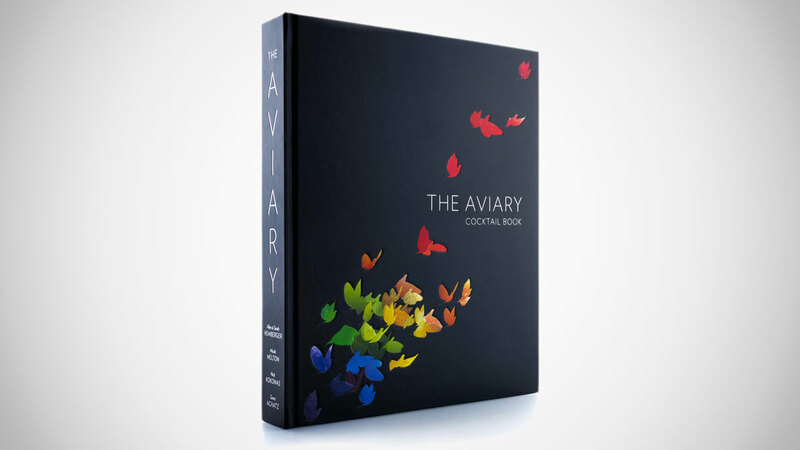 Add The Aviary Cocktail Book to the list of the best coffee table books for men. The Aviary is a critically acclaimed Chicago cocktail bar owned by Grant Achatz, also the man behind Chicago's critically acclaimed restaurant Alinea. 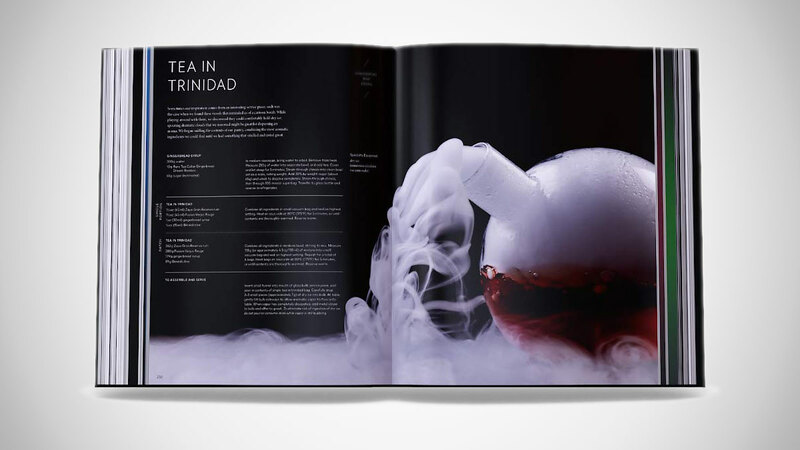 So while The Aviary Cocktail Book is technically a collection of drink recipes and mixologist techniques, its 440+ pages go well beyond a simple how-to guide. Cover to cover, this book is like gin martinis and shots of Jaeger for the eyes. It will get you visually wasted. 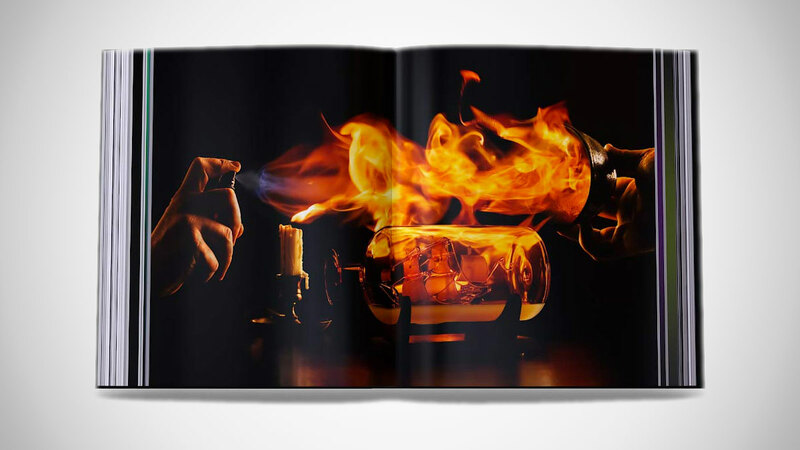 It's not just the photography in The Aviary Cocktail Book, the shots they were able to get, that are stunning, but the concepts for the photos for the photos in the first place, and the way they're woven all big and beautiful, every page in full-color between the recipes. 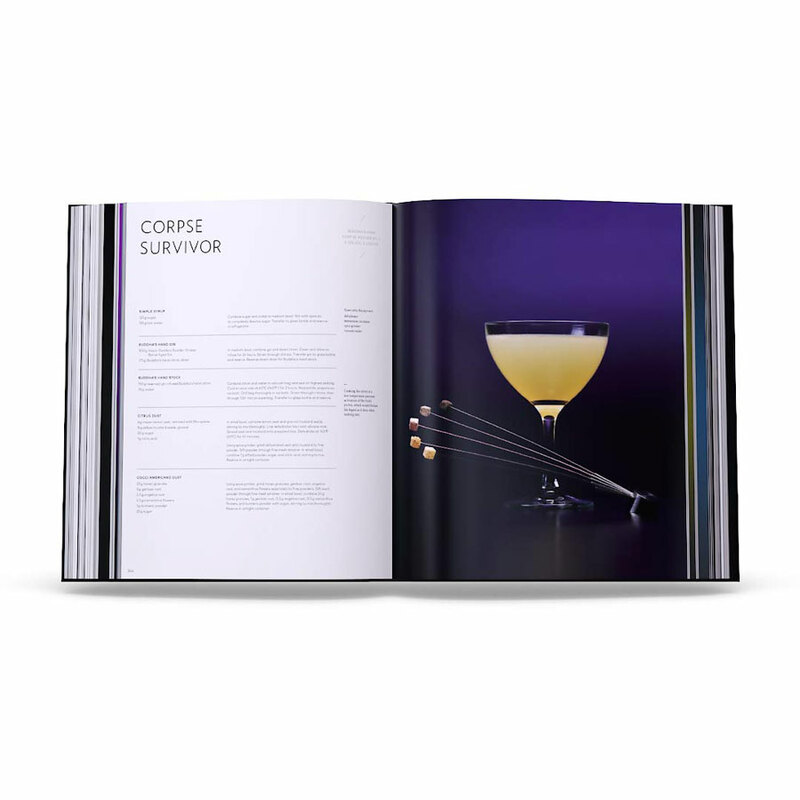 The Aviary Cocktail Book took 3 years to produce, the fruits of those labors resulting in a 12" x 10" x 2" hardback that weighs over 8 pounds. And, I'd imagine, dozens of drunken nights, and a few collaborators who never want to see another bottle of infused mezcal, or a ship in a bottle, or a Porthole Infuser again.